Are you guys ready for the BIG REVEAL??? 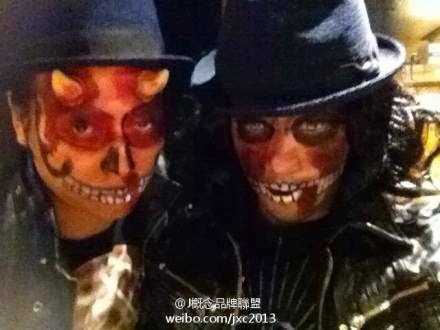 Anyway, it seems Jay was the one who did the makeup and they went walking around the streets, totally unrecognised! Xuegao then told Jay that he should go out like that every time....lol! HAPPY 8th BIRTHDAY to NOVEMBER'S CHOPIN!!! That is one of the very first albums of Jay's which I started listening to after discovering him in The Green Hornet and I loved it. It is still one of my faves and I super love the cool cover, of course! 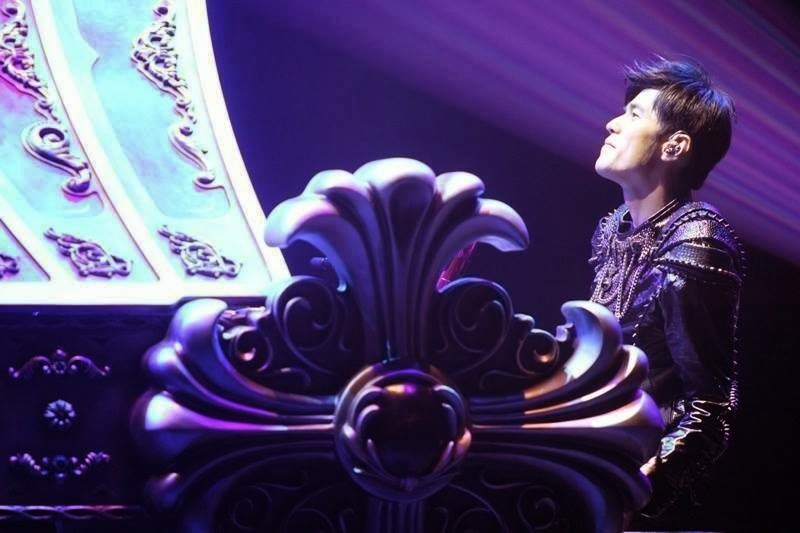 Being one of Asia's most successful pop superstars is clearly not enough for Jay Chou. In the past few years, he's tried to make the move from music to movies by filming supporting roles alongside heavyweight actors (Curse Of The Golden Flower), playing a sassy sidekick in a Hollywood blockbuster (The Green Hornet), and making his directorial debut with a tender if imperfect ode to young love (Secret). Oddly, despite contributing a handful of songs to the soundtracks of his films, Chou has never tried to blend music and movie... until now. Juggling directing, scripting and composing duties, Chou has clearly poured a great deal of his heart and soul into The Rooftop. It's a commitment that - mostly - pays off. Bubbly and fun, the film makes up for its lack of polish and muddled ending with plenty of offbeat charm and quirky humour. Set in Galilee, a fantasy realm reminiscent of a retro-soaked '70s Taiwan, Wax (Chou) lives in the rooftop community of the film's title - it's a ghetto area by most standards, but a warm, loving home for Wax and his trio of best friends Tempura (Alan Ko), Egg and Ah Lang. However, the idyllic lives of the cheerful, bickering quartet soon start to change. Wax finally meets Starling (Li Xinai), the beautiful actress whose smile radiates off the billboard that towers over his rooftop home. Tempura gets promoted in his job as a rent collector for a local gang, which unfortunately pits him against sociopathic thug Hong. As Wax falls in love and stands up for his buddies, sinister forces array themselves against him in the form of Hong and Starling's co-star William (Darren Qiu). Chou's film is far from perfect. Its narrative is paper-thin and predictable, and there isn't a great deal of logic tying the whole enterprise together. 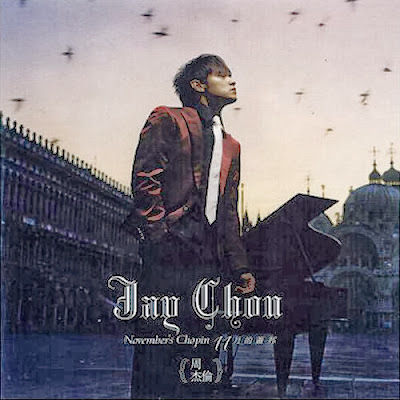 With its patchy character development and almost hyper-active switching from scene to scene, The Rooftop sometimes feels like a feature-length version of a Jay Chou music video. In fact, the final half-hour of the movie is a particularly awkward experience, with Chou managing to raise more questions than he answers in the last five minutes alone. At that point, it feels like a different movie altogether, a brooding gangster opus - complete with dramatic confrontations and car chase sequences - grafted onto a feather-light musical. But - and that's a pretty big 'but' - there's so much to enjoy in The Rooftop that it becomes considerably easier to forgive its unfortunate final-act detour. For most of its running time, the film is blithely silly, sweetly romantic and thoroughly enjoyable. Fans of Chou and neophytes alike will delight in its almost slapstick sensibilities and fun, catchy soundtrack, which includes some of the best ditties he's composed in years. In a sense, The Rooftop is an extended music video - specifically, it brings to mind Chou's 2007 out-of-left-field smash hit, The Cowboy Is Very Busy (牛仔很忙), which was a joyous, surreal, kitschy tribute to the Wild West. Bursting with much of the same energy, colour and life, Chou's characters sing and dance right off the screen and into the heart. Chou has brought together a winning cast, a combination of new talent and old friends who are all firmly attuned to his mindset and are game for pretty much anything he throws at them, including big, splashy dance numbers. Newcomer Li, famously spotted by Chou on the streets of Taipei, acquits herself reasonably well as his doe-eyed love interest, hampered only by her character's lack of a really distinctive personality. Chou himself is the main draw. Even in his early thirties, he remains boyishly charming and an unexpectedly effective screen presence. Criticisms that he's merely playing himself (again) don't hold much water when he does it so well and with comparatively little vanity. For better or worse, The Rooftop is a pure distillation of Chou as an artist. It's a film that manages to be pure entertainment and an intensely personal statement at the same time. As he blends dance with kungfu and hip-hop beats with romantic professions of love, Chou whips up a little universe that's testament to both his genius and ambition. If it falls somewhat short in the final analysis, it's nevertheless a treat to watch Chou try his hand at something so refreshingly different - not just in terms of his own films, but also the Chinese movie industry at large. Summary: The film takes an unfortunate plunge off The Rooftop at the end, but overall, this is a delightful confection filled to the rafters with music and laughter.